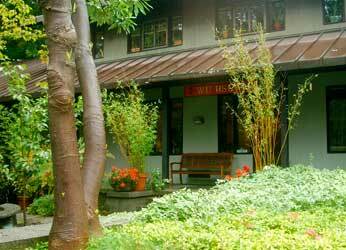 We are delighted to offer to host classes and events that contribute to WuHsing Tao School’s vision, since it is an important aspect of the mission of the school to foster an educational community dedicated to energy medicine. We are committed to playing a meaningful role in shaping the healthcare of the future by educating practitioners and healthcare providers as well as the public. A deposit of $200.00 is required in order to secure the space upon agreement. This contract agreement between both parties may be terminated by giving a 30 day notice. Total refund before 30 days; after 30 days no refund. When sending a flyer, please send as a PDF, to post on WuHsing website and for the waiting room board. WuHsing copy machine fee is 10 cents a page. In order to ensure that the needs of both the facilitator/group and the hosts are met, WuHsing reserves the right to allow one of their representatives to attend all or part of the event, free of charge. The building, per Washington State Law, is a completely non-smoking area. Use of candles or incense must be used only on the altar. Current curriculum vitae (resume) of instructor(s) or lecture(s). Copy of current licenses or credentials, if CEU’s are to be awarded. Copy of all advertising materials. Audio-visual equipment including: projector (must provide own laptop), DVD/VCR combination, projector, stereo system, microphone. Lodging Facilities available on the Talaris Campus. Contact Talaris to reserve. (Discount for WuHsing guests). If you are interested, please contact the Academic Dean at 206-853-5981, or the Office Manager at 206-683-9149. WuHsing mission is to teach with wisdom so that more compassionate practitioners can go out into the world and bring, those in need into harmony with Nature, making all efforts to reduce their suffering by restoring their health.